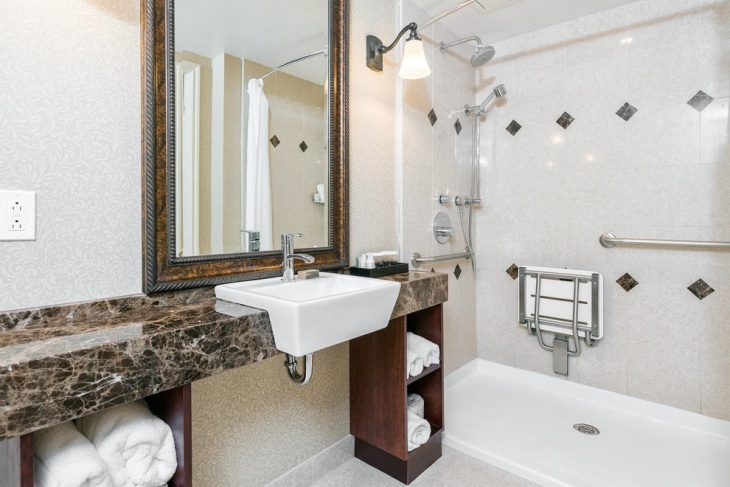 A bathroom is surprisingly the first thing most people check while choosing a perfect place to spend their vacation. 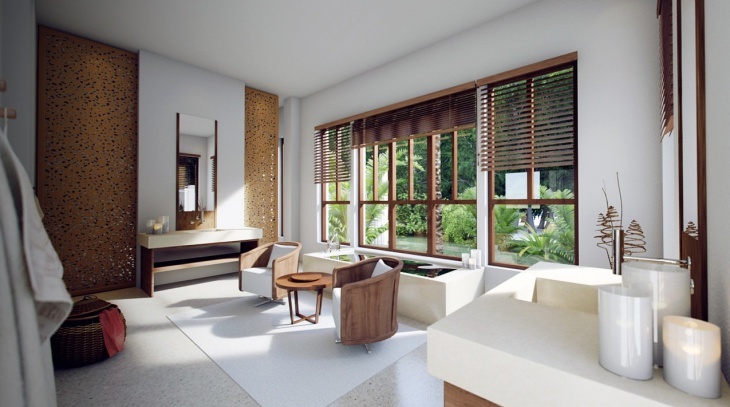 Bathroom designs in most A-class hotels are more than just washrooms. Apart from getting fresh you also feel relaxed in there because of the ambience. 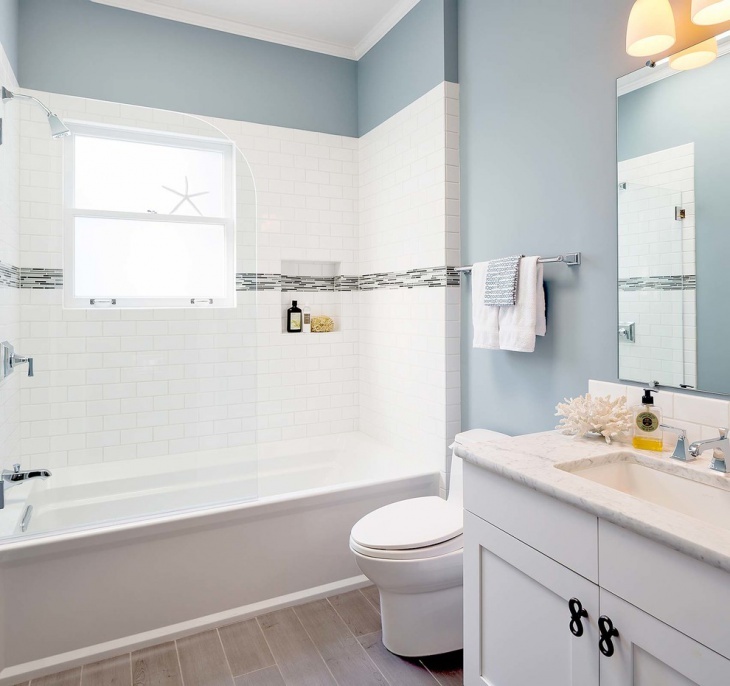 If you are not able to take out time from your busy schedule, you can remodel your own bathroom to give you a relaxed retreat from work stress right at home. A marble counter with the space below modified for storage increases usability and gives a clean look. 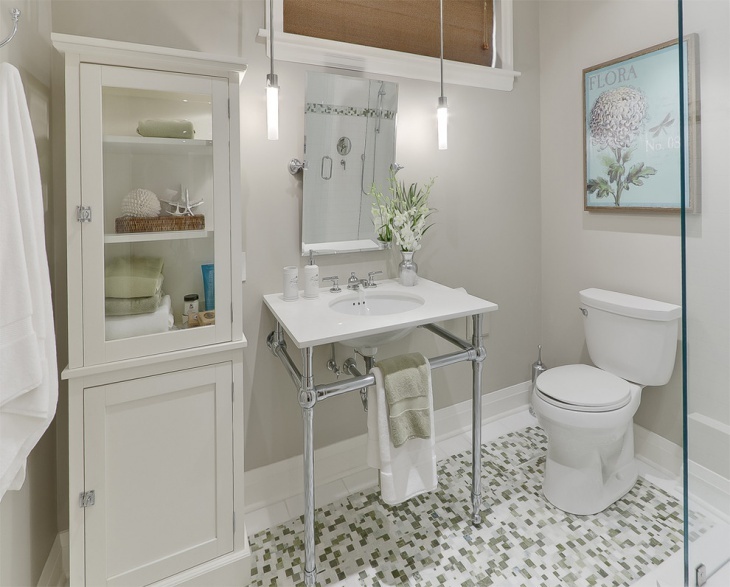 Use a trendy oval sink as it leaves more counter space to keep your toiletries. Use a simple mirror on the wall. 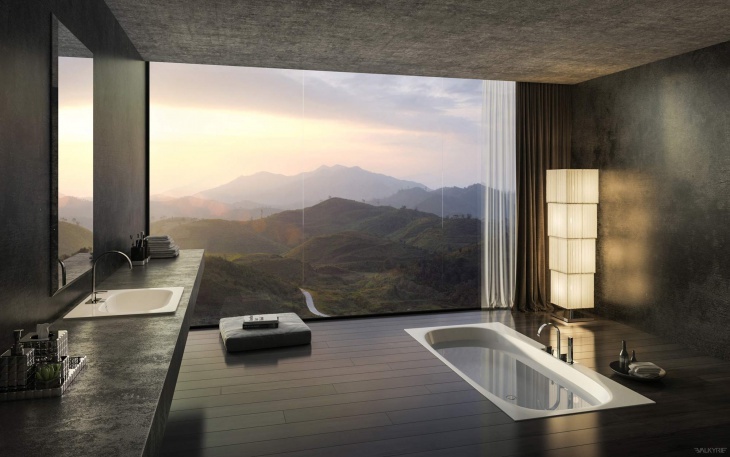 Separate your bath by a simple glass enclosure. 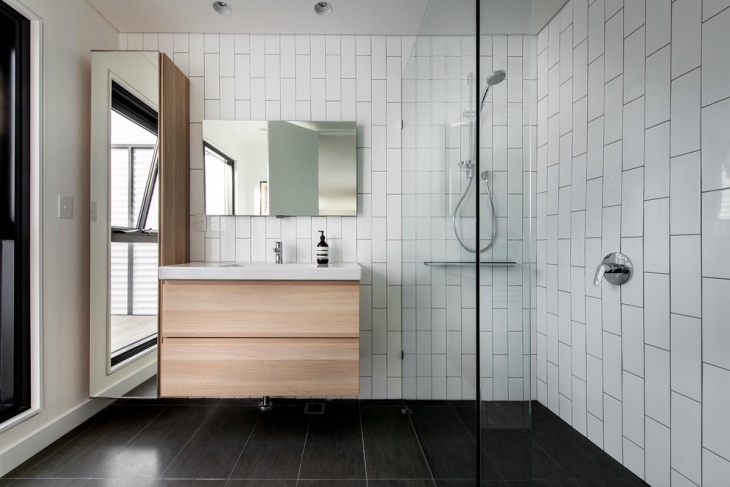 Modern bathrooms are all about clean cuts and geometric shapes with maximum functionality. 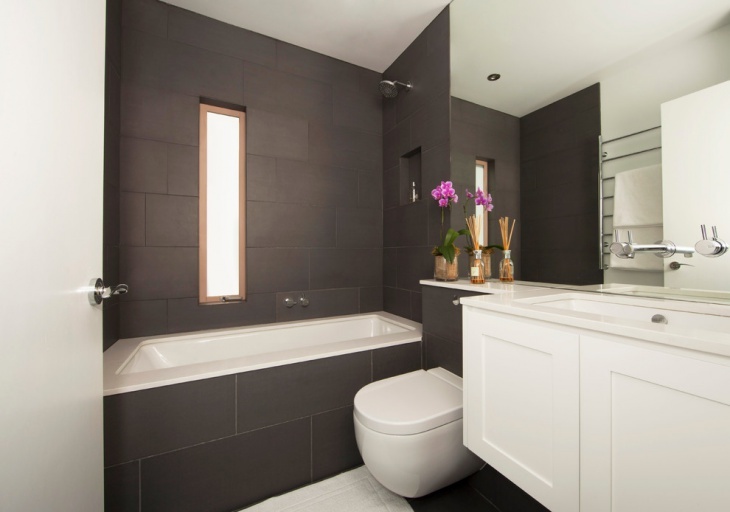 If you have enough space to play with, you can use twin basins. 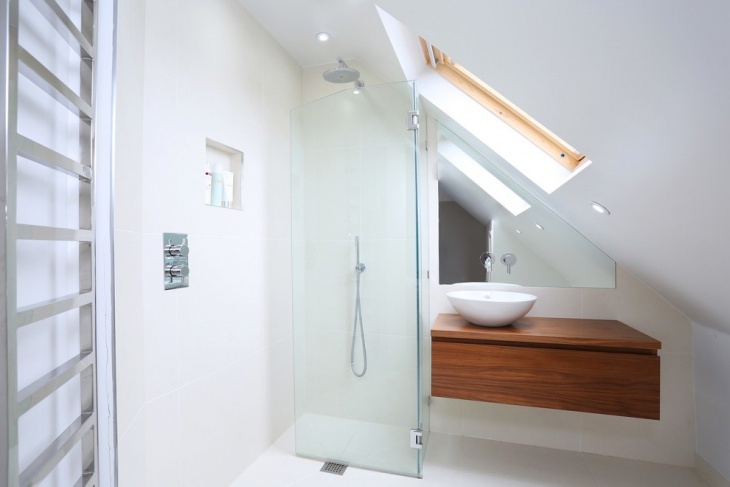 Use a frameless glass to make a corner bath. 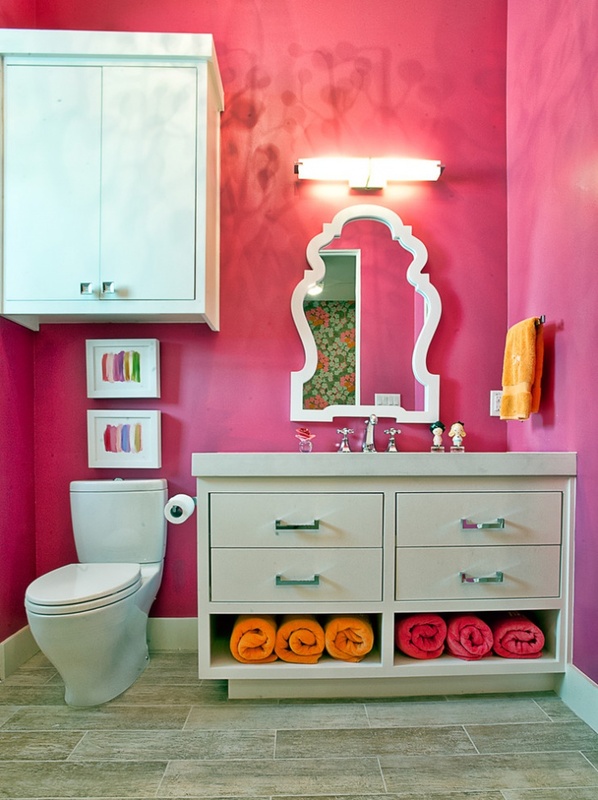 Convert the extra space below wash basin counter as your multipurpose storage. 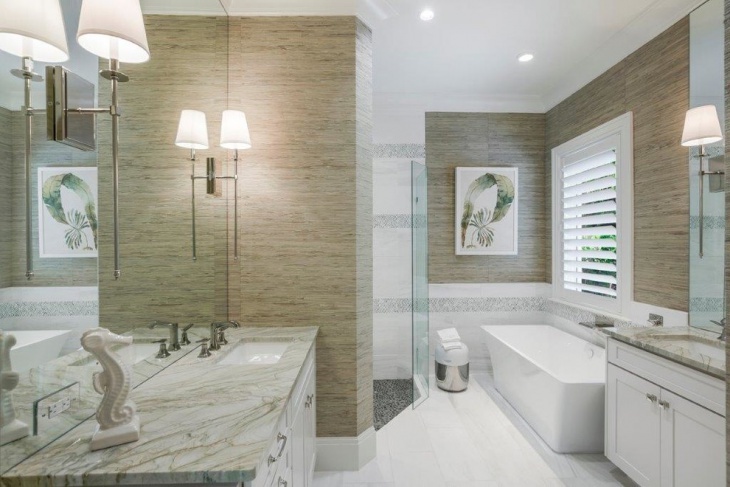 Select your bath fittings carefully to matching your bathroom design. 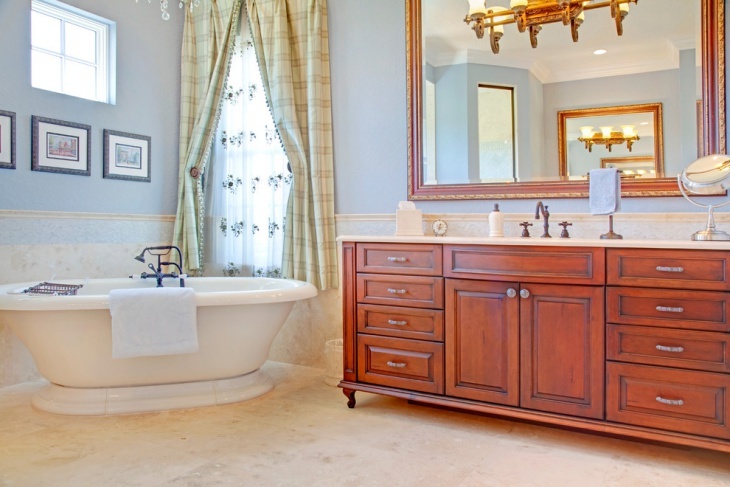 Irrespective of the number of bathrooms you have in your house your master bedroom needs a matching grand bathroom. 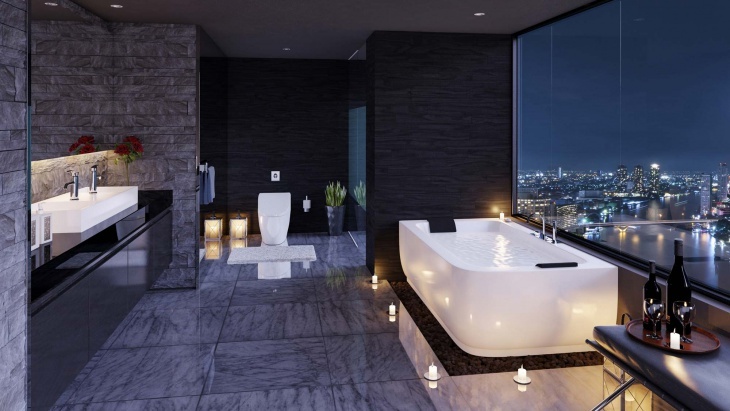 It should have a comfortable porcelain bathtub and television on the wall. A small wooden side table to keep your mobile phone and TV remote adds to the comfort. Use polished floor tiles to give a plush look. 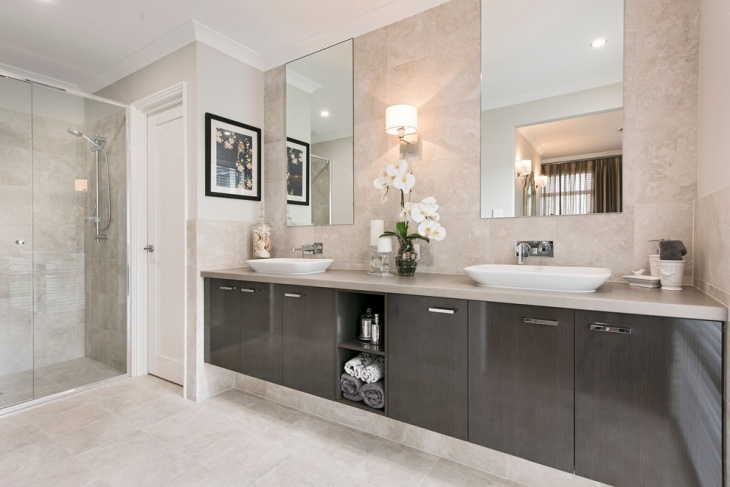 A marble counter with twin basins and a framed mirror on the wall with matt tiles on the floor adds to the look. 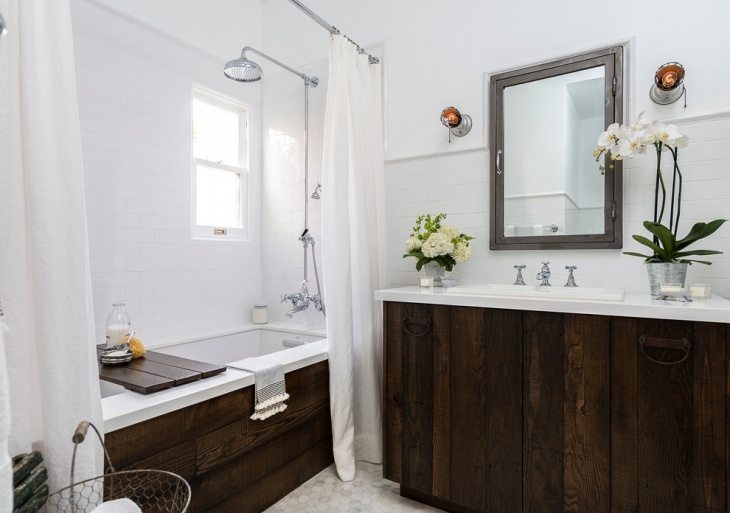 Traditional bathroom designs may be inspired by vintage, retro, and other styles and hence it covers a lot of possibilities under the same cap. 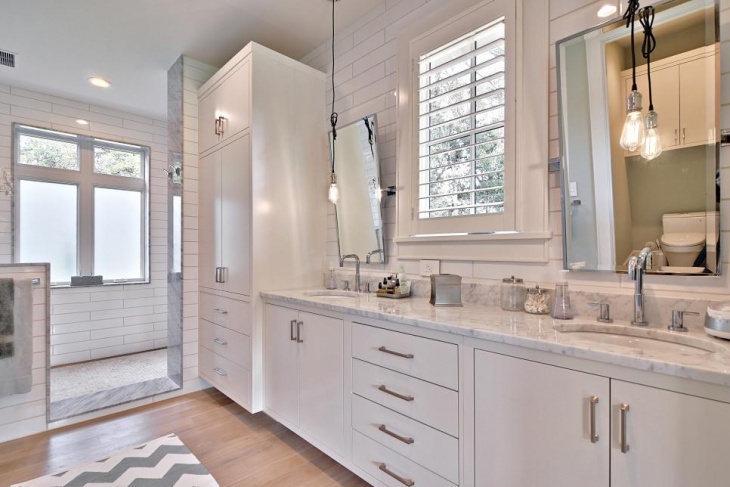 Use of neutral colors and whites, traditionally framed mirror or fixed mirror on small medicine cabinet are peculiar features of traditional bathroom designs. 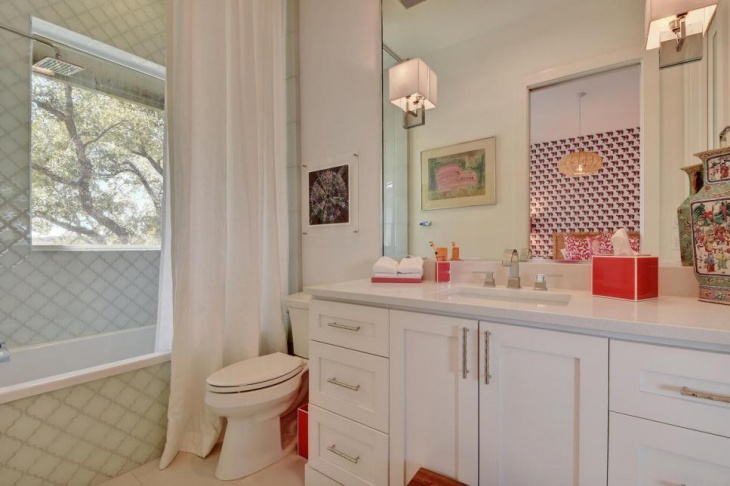 Use of floral wallpapers and printed floor tiles differentiates it from modern sleek designs. 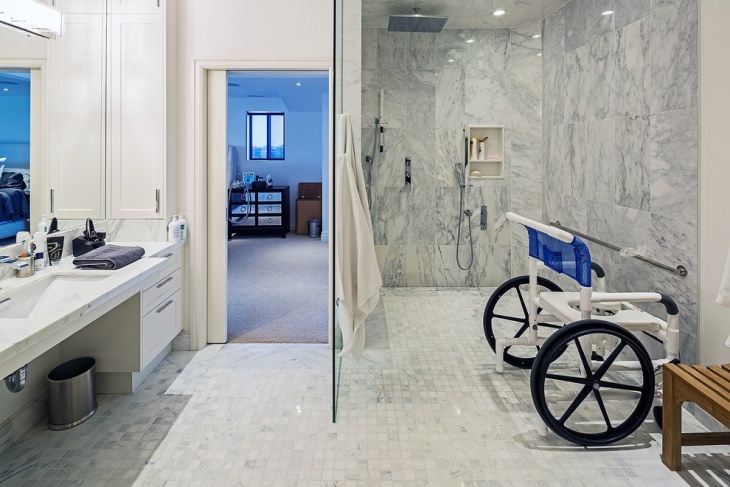 Use of expensive bath hardware, showers, and perfect tiles are not enough. 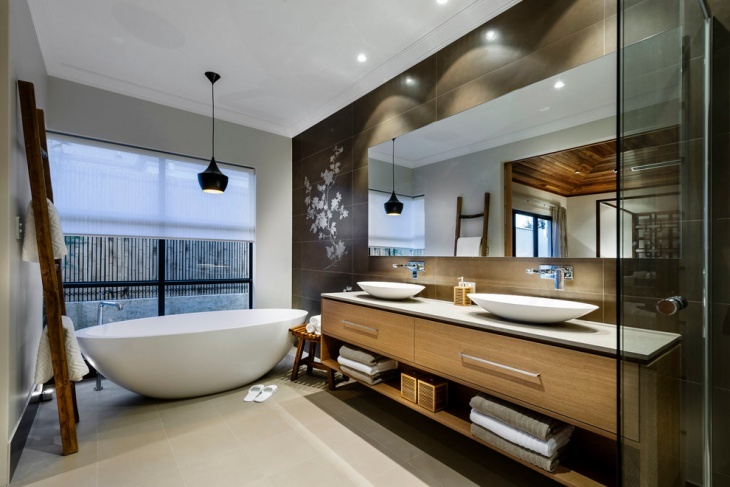 Use of small chandeliers and pendant lights adds a polished look to your bath space. To increase the look use beautifully woven bamboo basket for laundry and rugs to keep your feet dry. An attractive landscape painting hanging on the wall will just add to the look. 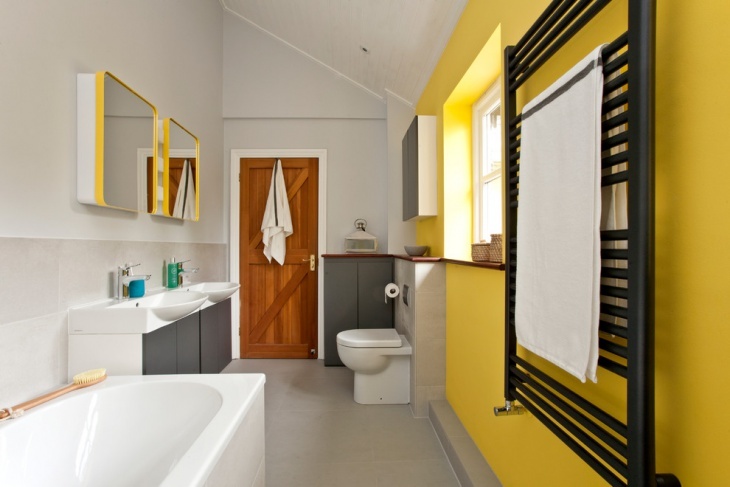 En-suite bathroom translate comfort. It increases your privacy but at the same time, it has limited space to work with. Instead of using a counter use free stating wash basin with plumbing and pipe work concealed. Instead of large cabinets, use metallic racks for hanging towels. Small shelves fixed in a wall can be used to keep toiletries. You will still be left with enough space for a decent bath corner. 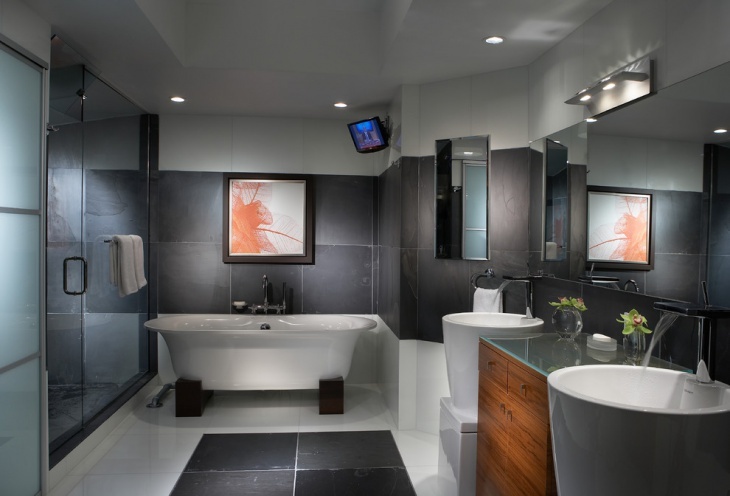 Contemporary bathroom designs are a mixture of clean edges, neatness, and maximum functionality. You can use every little corner for making a concealed storage space. 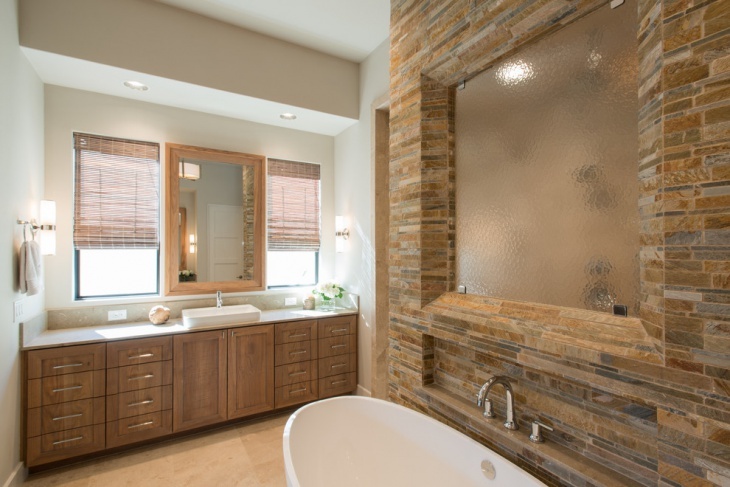 Expensive bath ware, clean full-size mirror with intelligent use of bracket lights gives it a rich look. Use of paintings and flower vases makes the look even interesting. 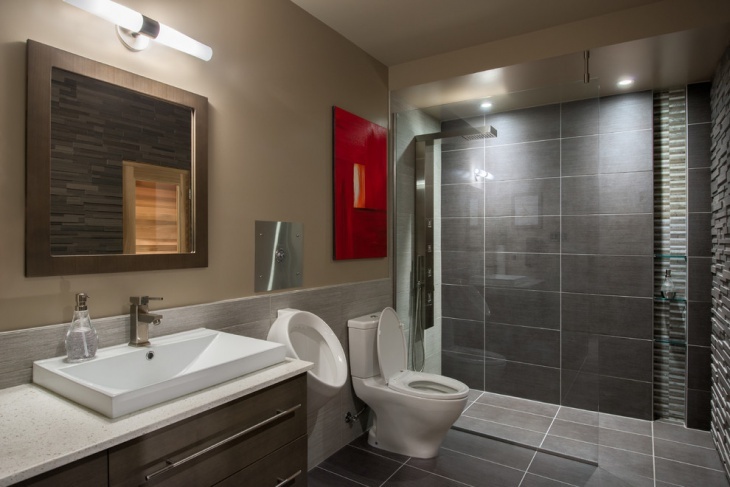 The main part of basement bathroom is its plumbing, once that is taken care of you can design it as beautifully as other bathrooms in the house. Keep it well lit and bright by using bright colours for walls. You can use concealed back led lights, bracket lights, and hanging pendant lights if you want to add a rich touch. Use perfumed oil sticks to make sure your bathroom smells good all the time. 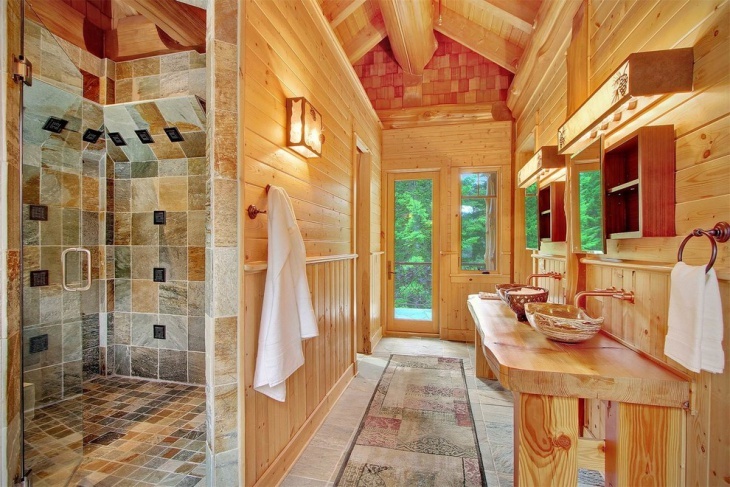 Using the right colors, storage designs and type of tiles can give you the rustic bathroom you desire. 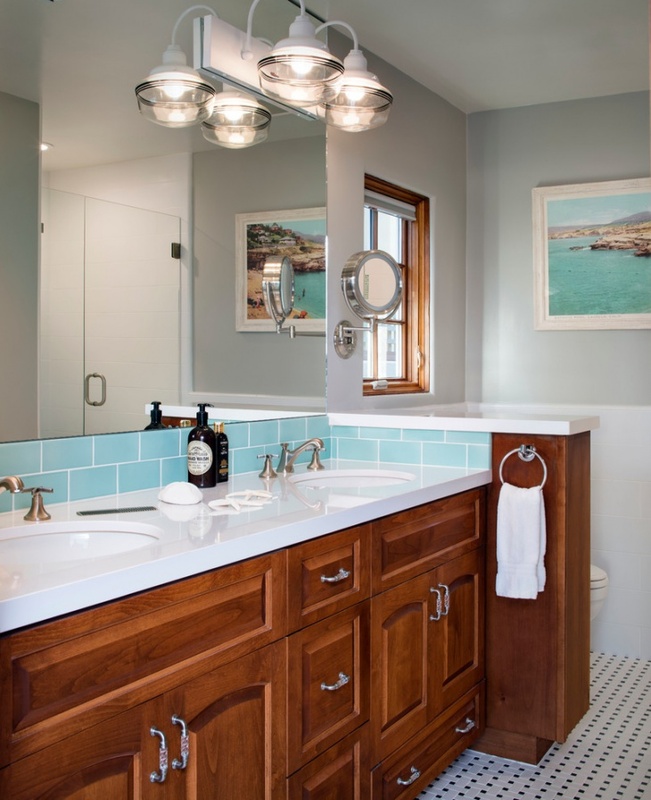 To add to the look use vintage bracket light in your bathroom. Use old style aged cabinets for storage. In the place of a plane mirror, a typically covered cabinet with mirrored door enhances the old world look. Still not satisfied with the look? 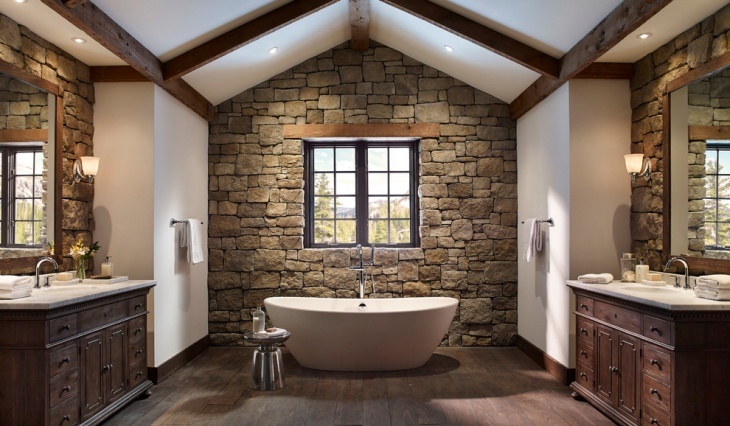 Add vintage style copper bath tub to your bathroom and you are done. Handicap Bathrooms need to be more functional. 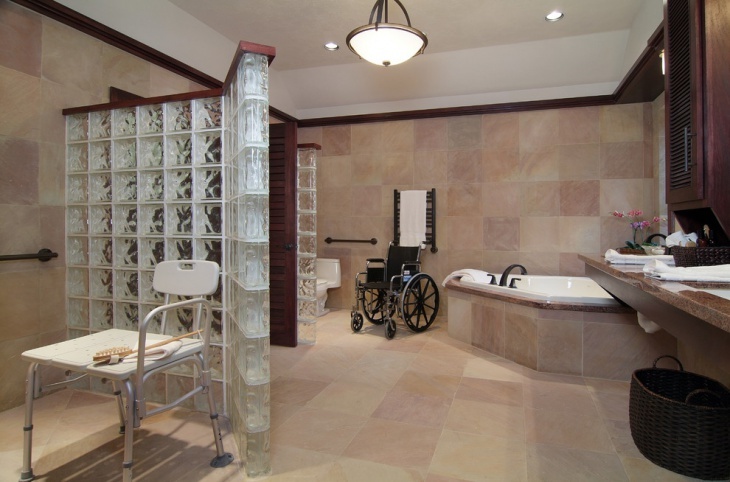 Along with accessibility simple design mandates should be considered while designing handicap bathroom designs. 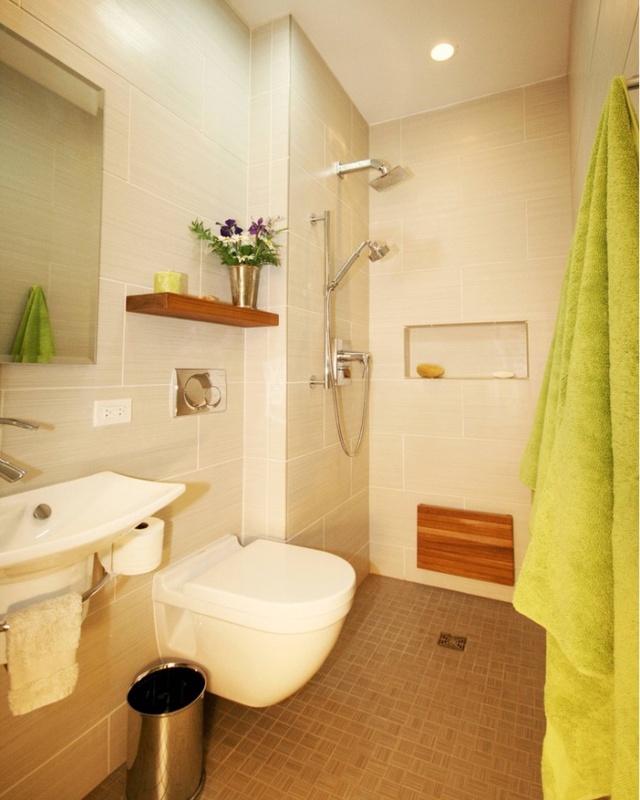 Use of specialised bath fittings like adjustable head showers with slide bars which can be fixed according to height. Use of support handles for a client. Maintaining comfortable height of toilet seat and positioning it between two support bars. 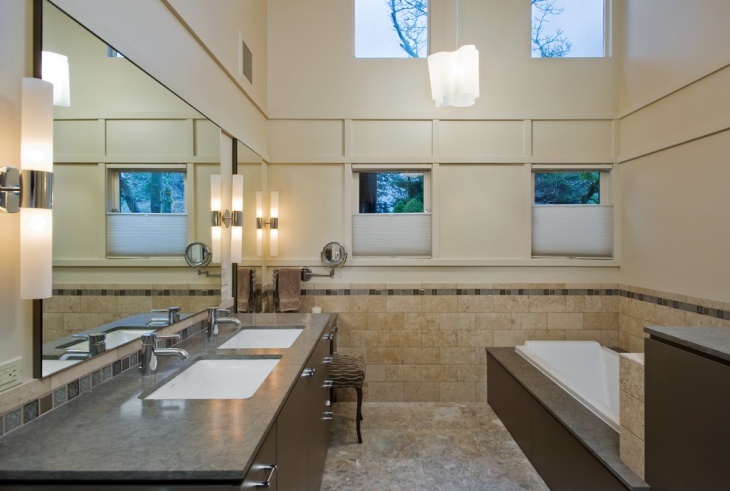 Commercial bathrooms need to be embellished to spoil the users. Malls, educational institutes, corporate offices or hospitals have a number of people using the restroom at any given time. 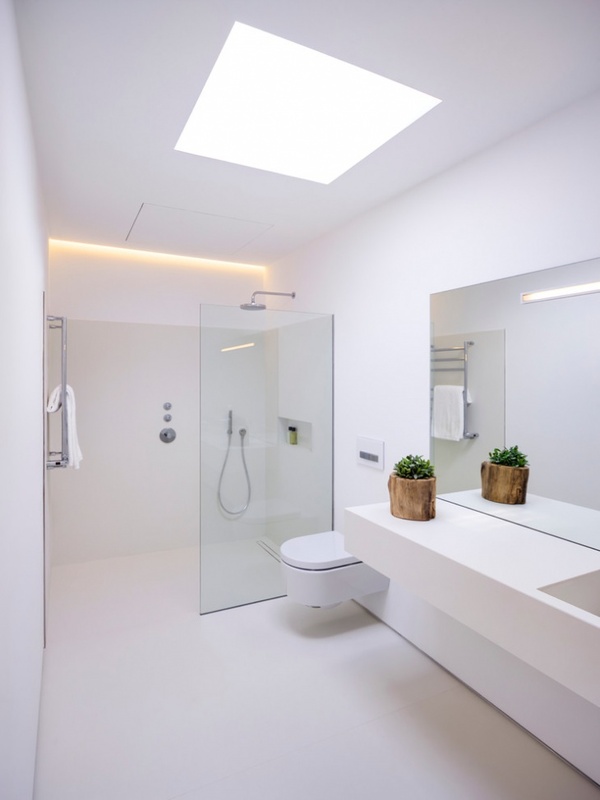 A commercial bathroom should be well lit. It should have a counter with minimum two to three sinks with a mirror and a separate powder corner, especially in ladies restrooms. Give your bathroom a country bathroom look by adding roll top floral curtains for windows. Use some painted furniture to add to the look. Instead of wooden of weaved baskets use metallic mesh baskets to keep your laundry. 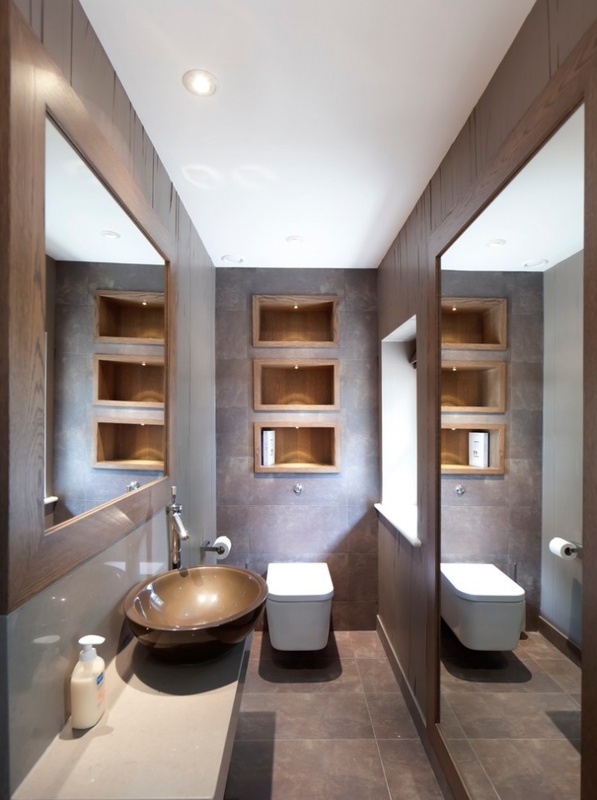 Make use of mirrors on both ends of your bathroom to create a visual illusion of larger space. Go for ornate ceiling designs which will draw the focus away from small space. Use brighter colors which make the space look big. 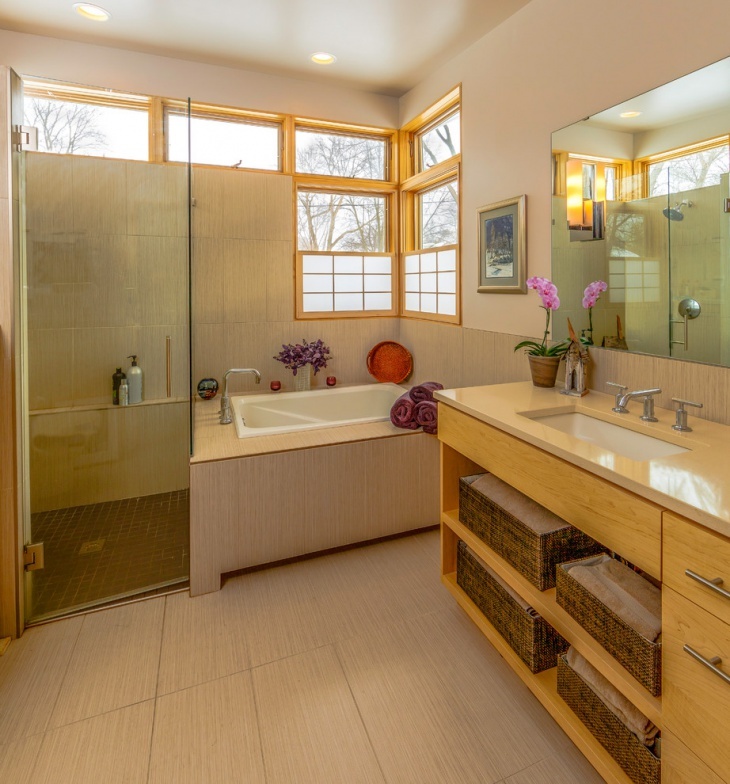 Use glass bath enclosure instead of bold one and use big mirrors to enhance reflective surface. 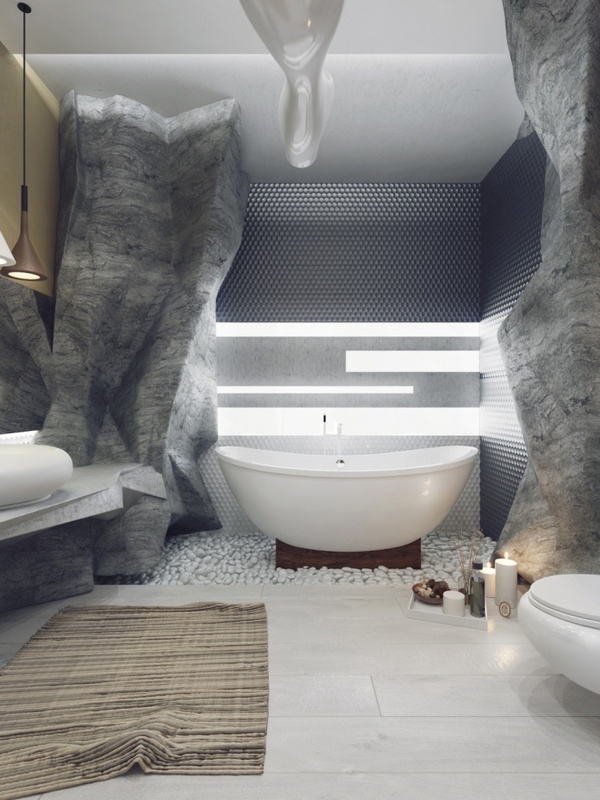 For an Asian bathroom bring in the spa elements to your bathroom. 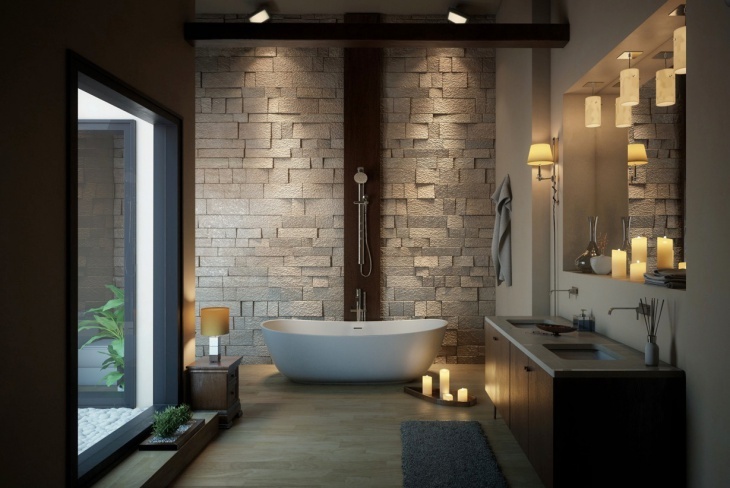 Use of stone tiles maintains the cool whereas use of perfumed candles will add that relaxed spa atmosphere to your bathroom. 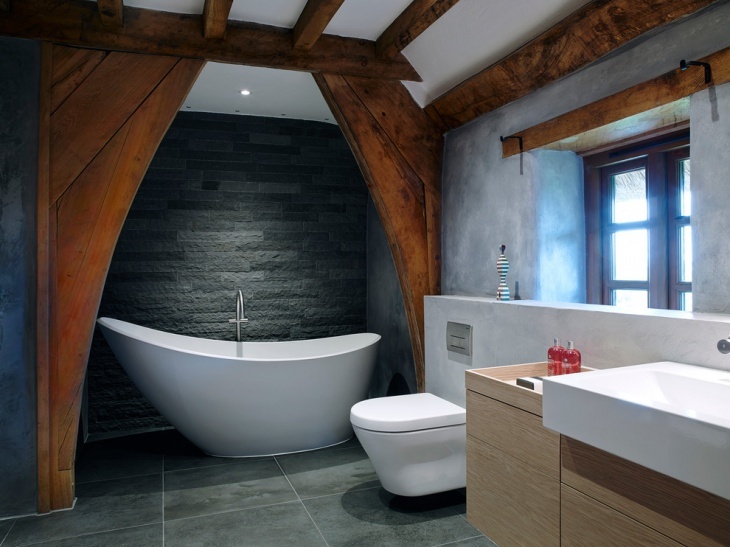 Stone bathtub in place of a porcelain one will complete the look. You can also add some greens to your bathroom. 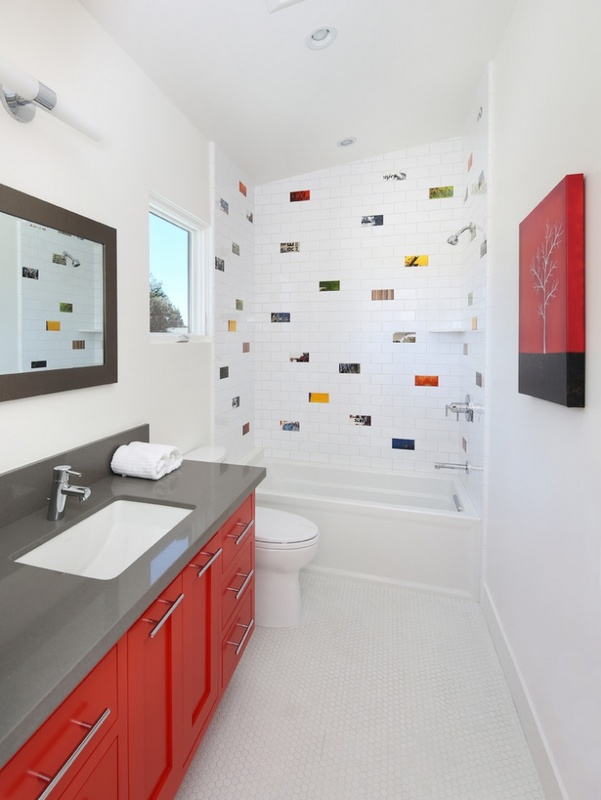 Choosing the right tile can add considerably to your beach bathroom look. 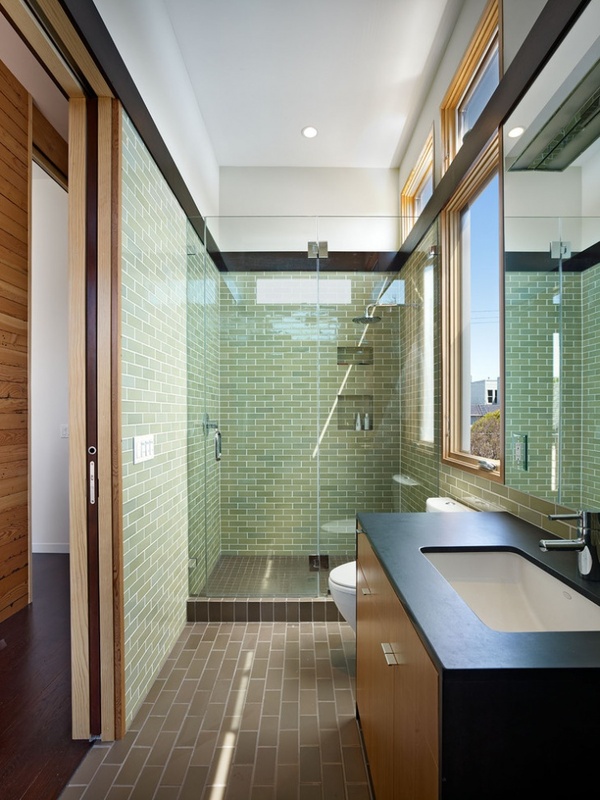 You can use mosaic tiles for the shower. 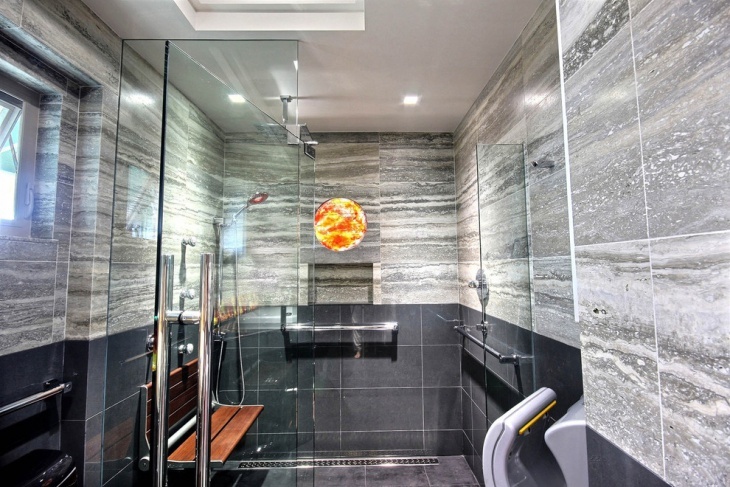 Stone or granite tiles can also be used as alternatives. A glass bowl on the counter full of sea shells can just add to the coastal look. You can also use tiles with coastal graphical designs. 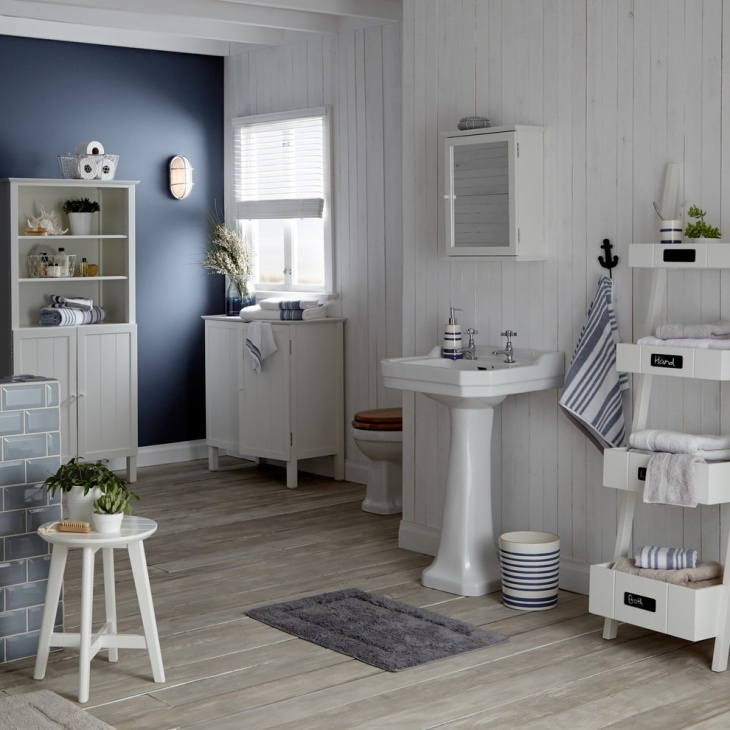 Bring in the relaxed feel to your bathroom with cottage bathroom styles. 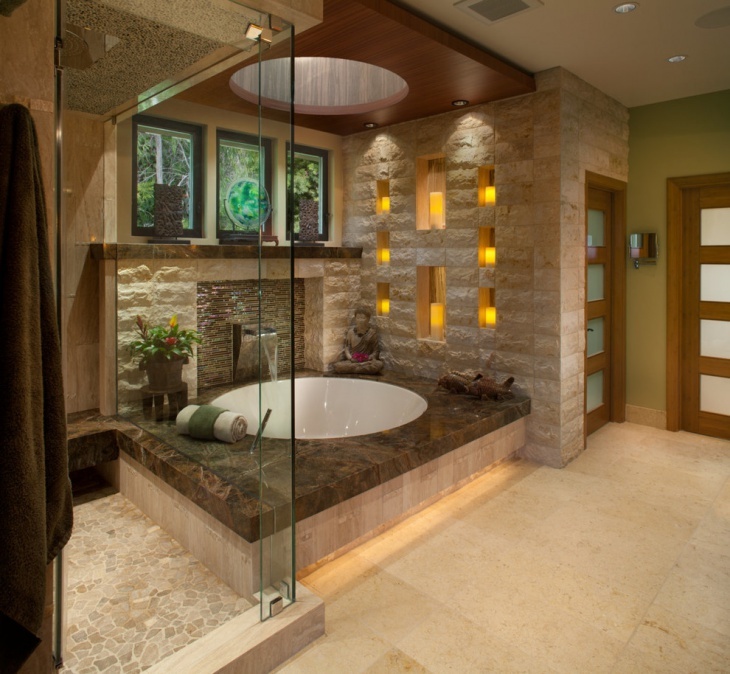 Use natural stone tiles for the shower. Floor tiles with geometric designs. Free standing bath tub. An open shelf cabinet for towels and toiletries and weaved baskets add to the look. Use of colourful rug will complete the look. 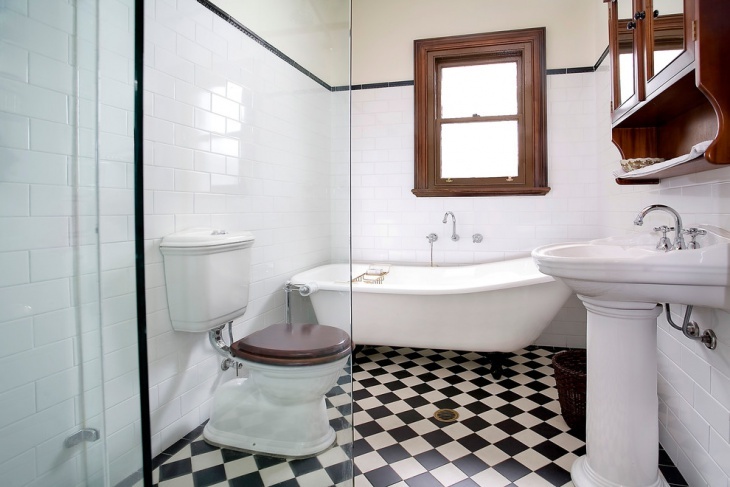 Nothing can make your guests feel more spoilt than a beautiful and clean bathroom. 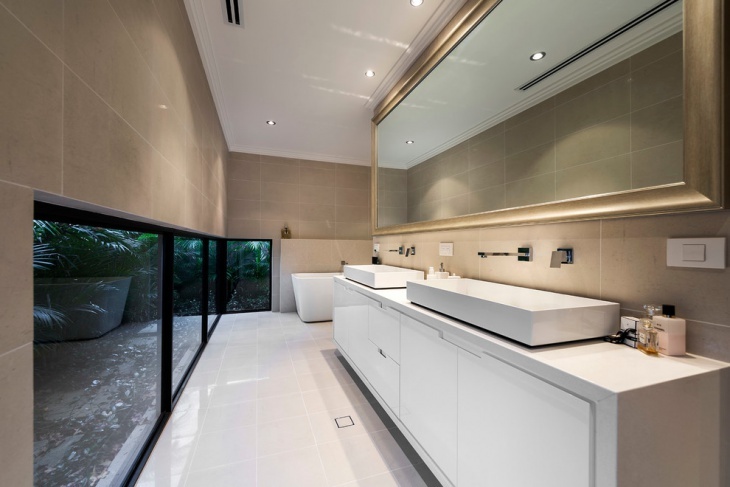 A nice counter with enough space to keep daily toiletries and a neat plane mirror above are a delight. A nice vase with fresh flowers will add life to your bathroom. Well-arranged bathrobe and towels inside shelves or hooks only adds to the delight. Minecraft is a lego-like video game which includes role plays. 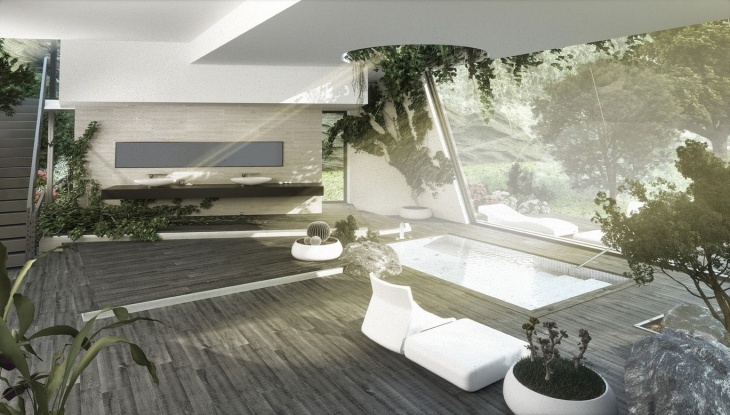 With Minecraft, you can design your own space. 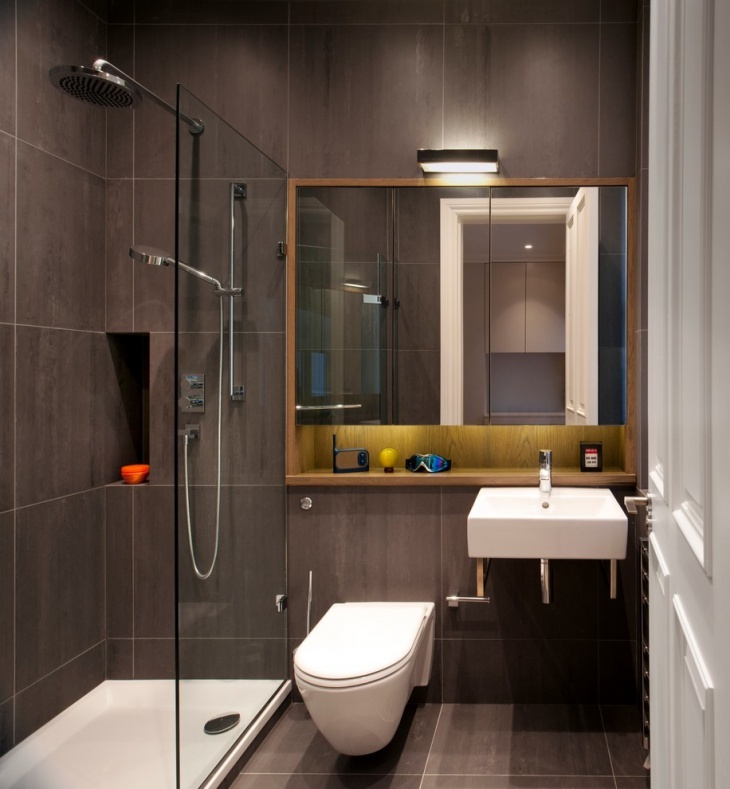 You can design your bathroom and see exactly what it will look like before taking the final step. 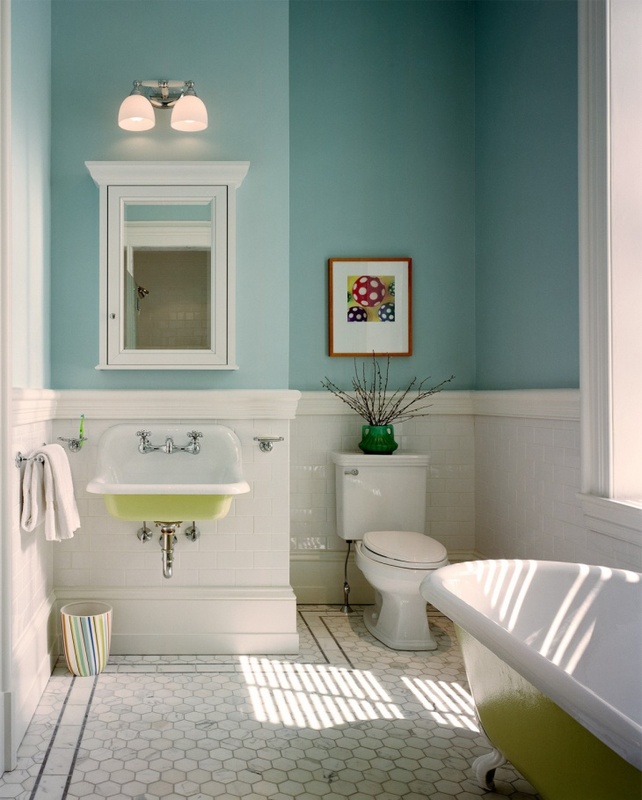 If you are redoing your kid’s bathroom remember to use soft colours like green, blue, pink, yellow etc. Using cute painting with funny sayings will always bring a smile on your kid’s face. Use different colors on shelves. Use colorful towels or the ones with their favourite cartoon characters printed on them. Use cute rugs and shower curtains with an animal theme. 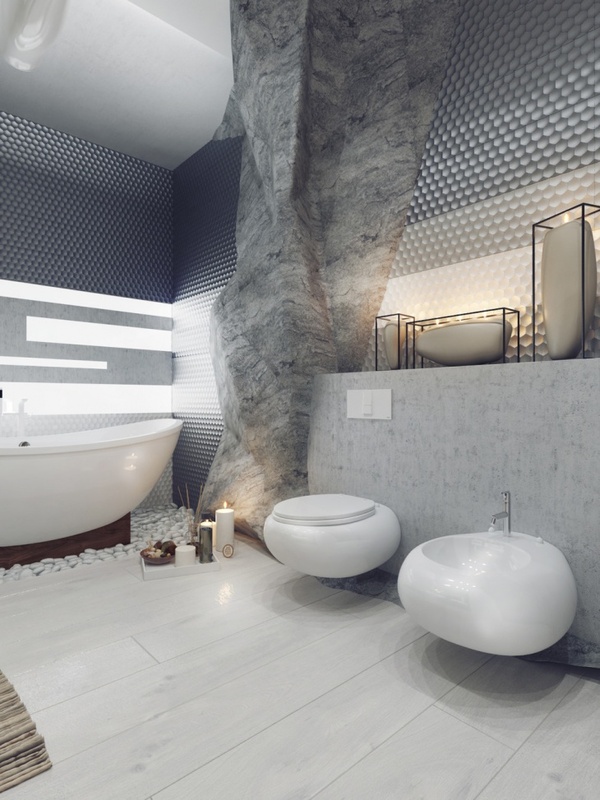 Colorful bathtubs will be a plus. Restaurant Bathroom can affect guest’s mood in a big way hence it is important to keep them as clean and beautiful as possible. 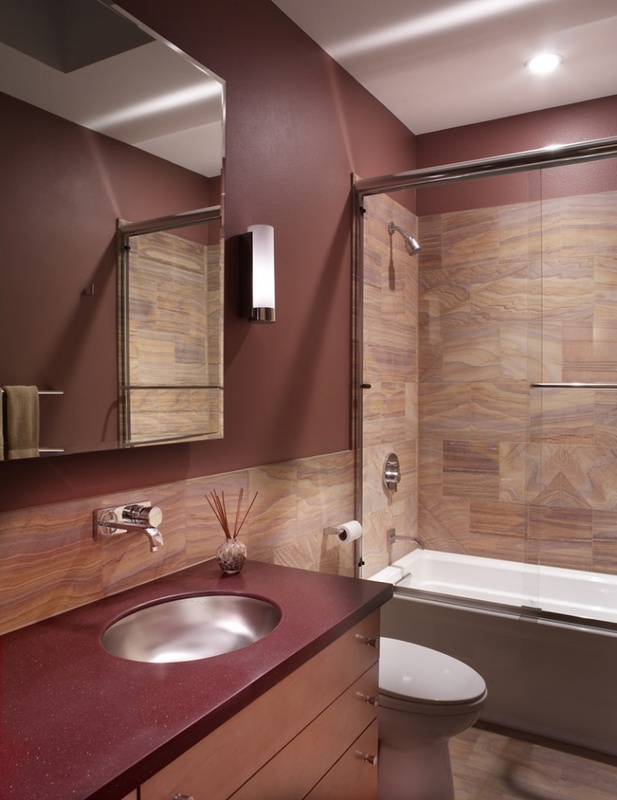 Smart choice of wall colors, flooring, quality of faucets used and lighting plays an important part here. Fresh flowers will only make it look more welcoming if all other things are taken care of. 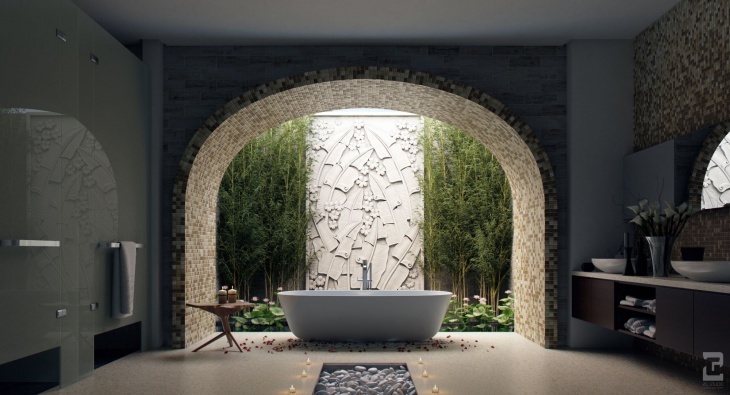 The above designs will definitely help you redesign your bathroom adding a bit of style or the taste you desire. 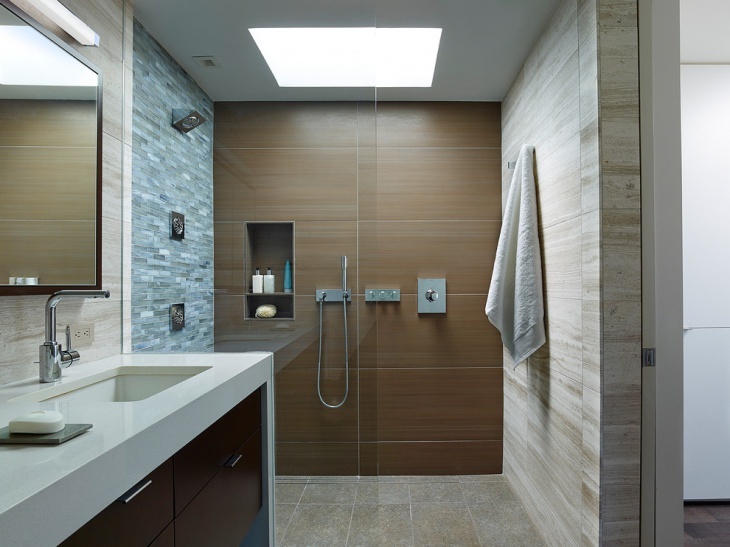 You can make a big difference just by choosing the right tiles, wall colors, bath fittings, and lighting.